Sale season is in full effect and I've been bitten by the sale bug. I'm hunting for one more bag, and after that, I promise to stop. I hope, anyway! No shoes for me this season, because I find that I don't wear the shoes fast enough to justify buying more. Are you splurging on anything during the sales? As a former club rat, I couldn't resist picking up Essie's DJ Play That Song from the recent neon collection that was released. It doesn't hurt that I like the color too, and it's not one that I have anything similar in my collection. 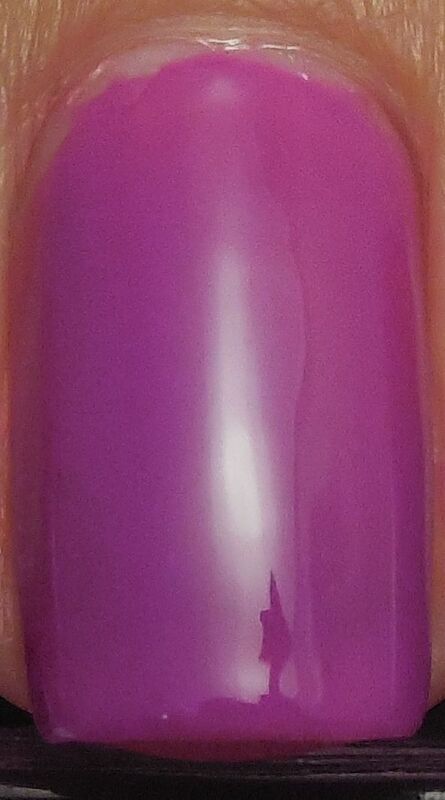 It's a purpley fuchsia crelly that is a bit watery during application but didn't streak. I used two coats in these pictures and found that it dried semi matte, so I used a layer of Poshe to get that squishy shine. Essie recommends layering this over white, but I think I prefer the semi sheer look of this color. It's bright and summery too, and the topcoat makes it sooo shiny. Have you tried any colors yet from the neon collection? oooh, this is such a nice colour! it's a perfect purple for summer!